Renee and a few Region 2 friends have put together workshop series for WBCCI unit leaders that will be conducted at the International Rally in Salem. See the announcement on the notebook page for Seminars, Attractions and Tours. This should be a must attend series for Unit officers and others who want to make sure their local Unit gets things done right and efficiently. The Gaucho was moved from the front to the side and the credenza was turned into a table by the front window. Here’s how it was done. There was a rally at the lunch! See the photo gallery. The Practical Sailor had a review in April 2004 of battery instrumentation. This was linked from the CruzPro site that describes their marine instrument line. CruzPro is a New Zealand company with an extensive line of instruments for marine use. A number of these are for battery monitoring or AC supply monitoring and may be useful in an RV context. The Practical Sailor review is a good rundown on what battery monitors do and how they work as well as the issues with several of the most popular monitors inlcuding those from CruzPro, Xantex (the Link 10), Trimetric, and Microlog. If you want to measure your batteries and get an idea of how much life you have left on your campout, one of these monitors is what you need. We’ve started a notebook to help us organize information about the WBCCI International Rally in Salem, Oregon. This site has no official connections or ties with WBCCI. It is strictly a personal effort to assist us in preparing for and participating in the international rally in Salem Oregon. There are things some of us would like to know about the WBCCI International Rally that will be held in Salem, Oregon June 24 through July 6, 2006 and have a tough find time finding on the official web site. So we made notes as we found out what we wanted to know and posted them here. It is a consolidated resource for us and it might be useful to you. Please contribute. If you have a question, a link, some tidbit, or other contribution that will help us get the most out of the Rally and may help others, please pass it along. The Burning Man types have a lot of incentive for a ‘hard tent’ to make a week out on the Black Rock a bit easier. Cardboard Domes – Homepage: Constructing Cardboard Geodesic Domes That Will Survive Burning Man and the Black Rock Desert has complete instructions about how you can build one. Maybe you could use this to replace that fabric gazebo? The design was borrowed from a 1973 edition of Popular Science and was improved upon to meet the rigors of the Black Rock Desert. These domes have served as an effective shelter against wind, extreme heat and, once painted, rainfall. The largest of the three domes in the picture opposite measures approximately 12′ 7″ in diameter and is about 6′ 3″ high at its center. … They are fairly inexpensive to build as recycled cardboard is the main component and, if water-based paint is used, can be burned. The domes are strong enough to attach decorative pieces and lighting components to the inside. Assembly time, on site, is 3 to 4 hours for 3 people constructing one dome with the appropriate tools. On the other hand, there are a lot of materials and bolting all the panels together takes a bit of time. Maybe you can invent an easy up and down mechanism or make other improvements? Looking for a dog friendly place to stay? The Reno search DogFriendly.com’s City Guide: Reno, Nevada indicates where you can find their books, lists the motels in Reno that allow dogs, only three RV parks, the two off-leash parks, several outdoor restaurants, and one veterinarian (the emergency animal hospital only open weekends and nights). So this might be one place to check if you are planning a road trip and need full service stops that will welcome all of your party. Onan will show new ‘juice box’ genset at April show. Onan introduces the JuiceBox, an externally mounted, self-contained 3.6-kW or 4-kW generator with a specialized TwinTube UBI frame. It simply and securely attaches to a Class III frame-mounted hitch receiver of a large towable RV; consumes no valuable storage space; is easily removed for maintenance, storage and transfer to another RV, or for non-RV power supply; provides a 30-amp shore cord outlet and frour 20-amp GFI-protected outlets. The February 2006 Newsletter has been posted. See the link. 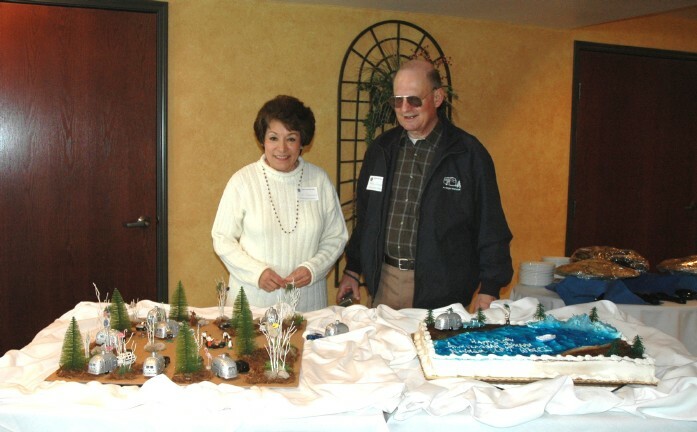 ** Sierra Nevada Unit 30th Anniversary Luncheon February 18, 2006. This is going to be a really special event. If you haven’t RSVP’d yet, do so now! 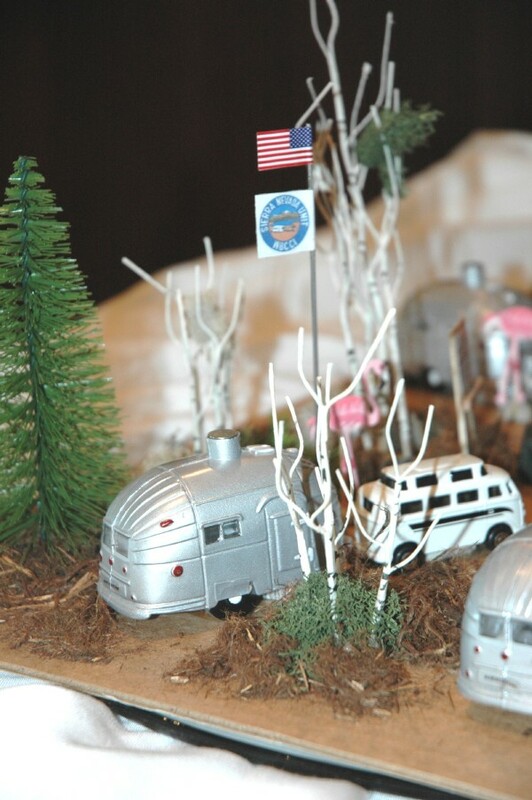 Email hq@SierraNevadaAirstreams.org or call 775 972 5011. We need to know how many people to expect. Among the special guests who are planning to attend are the Region 12 1st and 2nd Vice Presidents, and Jon and Jelaine Whipple from Mt Family RV. Vicki Grossmann is hard at work planning decorations for our Anniversary Cake and from what I hear it will be a masterpiece. For more information and map . * If you were not able to attend our January luncheon, we’d still like your opinion on the issues brought up during the business part of the agenda. You will find an opinion form. Please print it out, fill it in and send it to the SNU. Your opinion does matter. 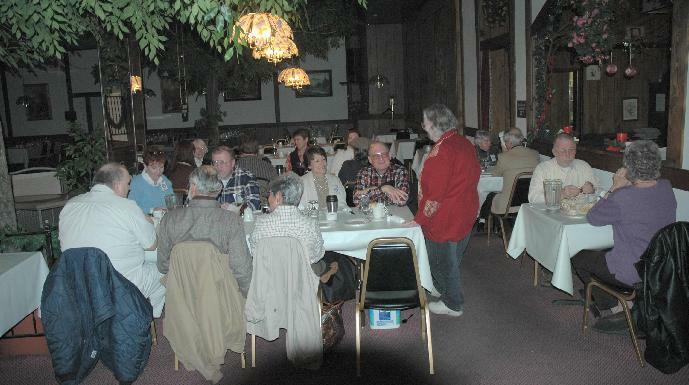 * to see pictures of the January Luncheon, see what’s new. * Check out Tim and Kimber’s article on their experiment with LED lighting. They have some great pictures to illustrate the article. Also check out the LED information on Tim and Kimber’s website.